Once upon a time, a new client shared his vision for a change that he was responsible for implementing, but which would require significant work by other people in the organization to get it done. His approach was to convince a senior leader to make the goal and the path to achieving it mandatory. He wanted several teams to be required to meet on a regular basis to work on improving a new set of metrics he developed. See a pattern here? It’s common for change agents to try to influence change by convincing one leader with enough authority to make people do it. It’s easier and takes less time to persuade one person to go along with the change instead of a whole organization. Knowing it will be difficult to get everyone on the same page, it seems the best course of action is to develop the right way to change, and then to tell everyone what to do and how to do it. Leaders often don’t wield enough power or commitment to be that authoritarian. Even if you can convince them to make an edict, they will often not follow through on holding people to it. If people can get away with not doing it, then they’ll stop. Taking the mandatory approach can force the initial action to happen, but it doesn’t create ongoing commitment to participate in the change. The act of choosing creates commitment. If it’s mandatory, people don’t have a choice. Not only does required change not create commitment, it also generates resistance. Being told what to do triggers our fight/flight/freeze response by limiting our autonomy, or our sense of control. No one likes feeling cornered, and they will instinctively rebel against coercion. What can you do instead? Rather than mandate change, gain input from those who will have to implement it. Involve others in developing the goal and a strategy to achieve it. Once they agree, then the leader can hold them accountable for what they say they will accomplish. By taking this approach, yes, you might end up with a project that doesn’t look like the one you initially imagined. But it’s better to have a project that everyone is committed to achieving than to have a project that is yours but yours alone. That doesn’t mean you can’t provide your expertise to ensure the project will be successful, or even advocate for your position. But the idea is better off surviving on its own merit, not because someone forced it to happen. What if the change really is mandatory? Of course, there are some changes that must be done, either to comply with regulations or because a decision has been made that can’t be undone. When the change really is required, start with a solid case for why it’s necessary, and be prepared to create resentment. Where possible, find ways for people to put their own mark on it. Perhaps the What is mandated, but people can still determine the How. I encourage you to challenge yourself about what is truly mandatory, because what we often think is mandatory really isn’t. For example, change agents often make training mandatory, because people won’t be able to do the job if they don’t learn how to do it. But what if there’s another way to learn it without attending training? Is the training mandatory, or is learning mandatory? Those are two different things. If you make the case that learning is mandatory, and offer training as a means of learning, people might be more willing to attend than if you just make people go to the class. 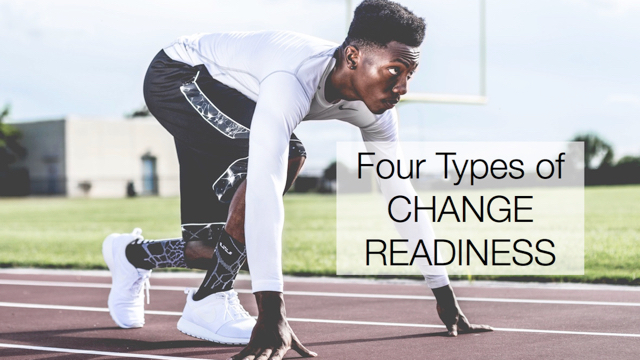 Rather than making change a mandatory requirement, get people excited about the prospect of change. Invite them to participate and help design it. Then they will be engaged in the change, instead of just going through the motions with resentment and resistance. Let go of defining how it must go, so it can get done.